Yesterday I wrote about Teaism, one of my favorite spots in DC. I like to go to the flagship tiny little two-story tea house in Dupont Circle, but there are two other DC locations in Lafayette Park, Penn Quarter, and one in Old Town, Alexandria. Apart from their extensive tea selection, they are best known for their Japanese and Indian food. Customers also rave about their Salty Oat Cookie. The reason I like to go to Teaism is for the ochazuke. 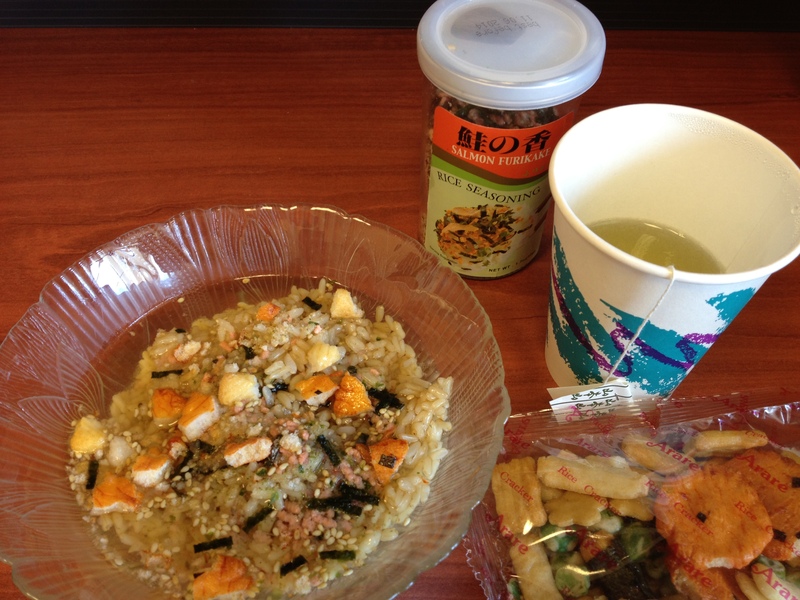 Ochazuke is a simple rice dish sprinkled with a variety of toppings such as fish, pickled vegetables, crumbled rice crackers, seaweed, or wasabi. Green tea is poured over the top to create a kind of soup. 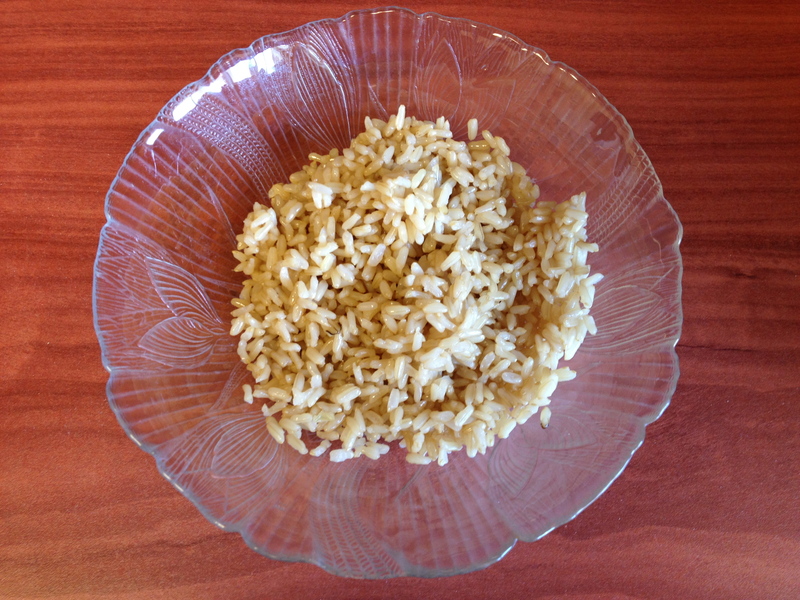 It’s a good way to use up leftover rice and is served as a snack, at the end of a meal, or as a hangover cure. 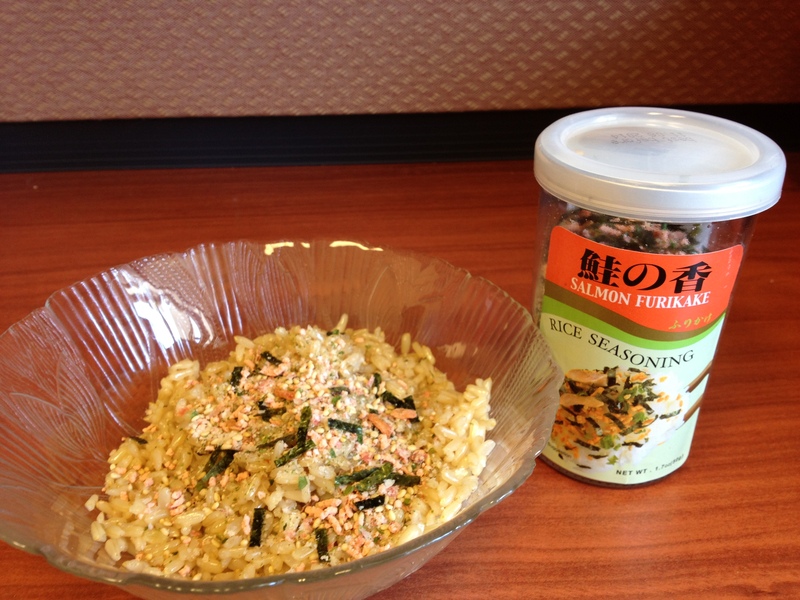 Salmon Furikake (A condiment used to add flavor to plain rice. 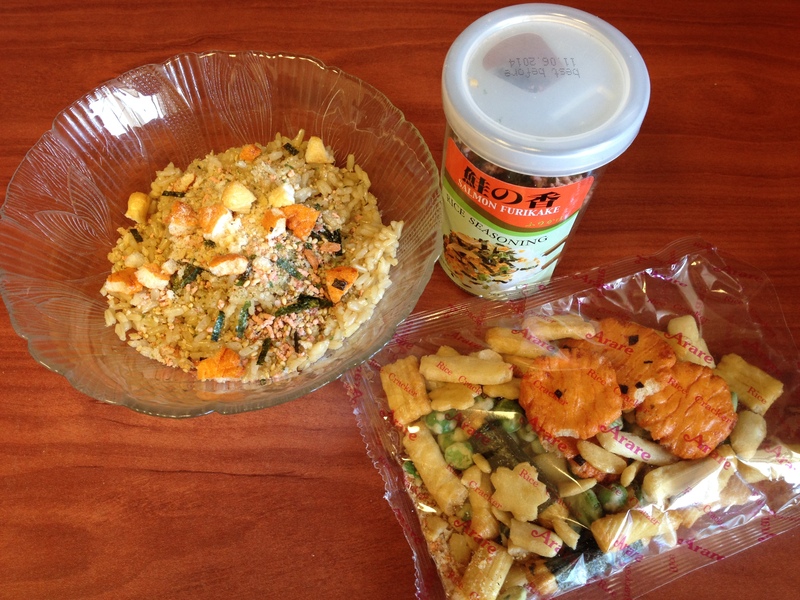 Furikake comes in different blends and is made of a variety of ingredients, such as sesame seeds, nori, dried fish flakes, and salt). Verdict? Not nearly as good as Teaism’s, but a super quick and easy, decent approximation. Hope your weekend is full of wonderful discoveries! owonderful • This entry was posted in Travel, Uncategorized and tagged ochazuke, Teaism. Bookmark the permalink.